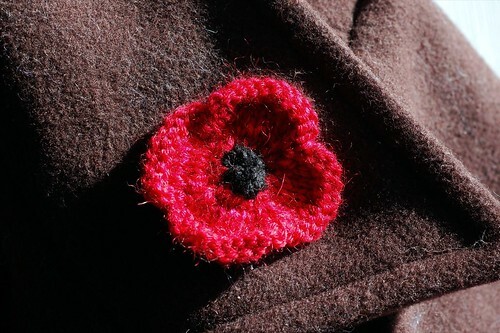 I’m reposting this blog entry from last year – I’m a bit late this year, but you still have time to make your own poppy! It only takes about half an hour. We do something similar in the US with the American Legion Auxillary. I used to give out the poppies when I was young now my daughter does it. There is a bit of an intro, but it is a performance by the singer/songwriter himself, so worth a listen. The song always makes me feel like I can see the fields, and also makes me feel very sad. And hopeful, that we can learn not to make war any more. My donation will be going to the American Legion. I made two poppies this morning. One for me, one for my dog. We worked at our LYS today! 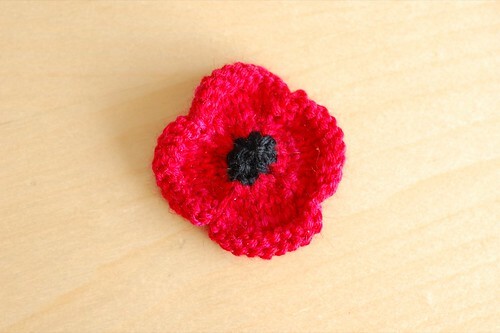 Thank you for this pattern, I will have some made for our local American Legion. thank you Karen Lauterwasser for the link, I printed the lyrics. 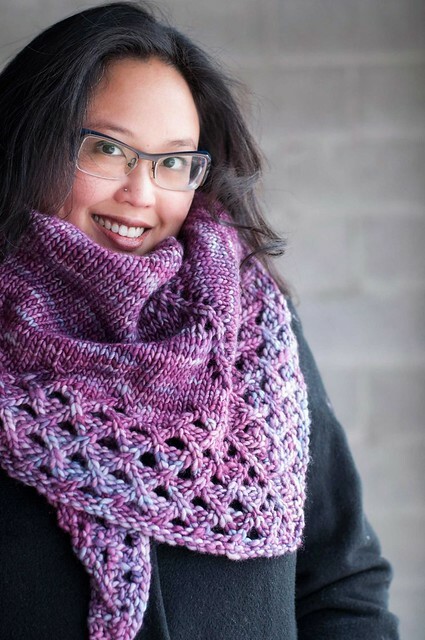 Thank you so much for sharing this pattern I will be making a few of them. Thank you so much for the pattern my mum asked me for it as I piurchsed a knitted poppy for her last year and now al her friends would like one so will do some for tomorrow an dthen next year.